The Lunagals also lead and are Directors of a registered non-profit organization called United Girls of the World (UGW). United Girls has a mandate to assist in the area of critical issues affecting girls and women around the world, empowering them by providing tools to develop positive self-esteem. In 2014, inspired by a childhood dream of Madeleine’s, we launched G Day for Girls. 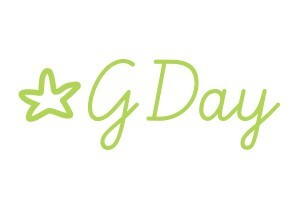 G Day is a rite of passage event series for girls ages 10 to 12 emphasizing connection, confidence and supportive family relationships at this key “coming of age” life phase. At each G Day, 250-300 people gather together as a community to welcome and celebrate our girls, letting them know that we value them and are there to support them. Development of healthy self esteem is crucial for girls at this age: without it they become susceptible to eating disorders, risky social behaviour and increased attrition from sports and hobbies. By including “Champions” (ie: parents or other key mentors and caregivers) in the programming, we bolster the key emotional and communication bonds between them. G Day is a special day set aside to collectively pause from our busy lives to acknowledge the fact that, for our girls, childhood is ending and an exciting new phase of life is beginning. The full-day program, designed for both girls and their Champions, follows the traditional stages of rites of passage: separation, initiation and return. Themes for the Girls program include leadership, personal empowerment, body positivity, global awareness, music, creativity and movement. Themes for the Champions program may include conscious parenting, DIY rituals, and supporting “different” kinds of kids. At the end of the day, Girls and Champions reunite for a ritual reunion ceremony that expresses G Day’s real magic: the affirmation of the value of family and community, no matter how we are related. Here are some insights about how G Day has challenged – and grown – Madeleine’s creative process and leadership practice. UGW is also home to MHM projects that fall outside the One4Her program. The developing world is not the only place where menstrual hygiene supplies are inaccessible for many. Our own backyard of Vancouver Canada is home to endemic poverty, addictions, violence and homelessness. We are currently working to support the needs of marginalized, at-risk and impoverished menstruators by providing them with both reusable as well as disposable products, according to their needs and situations. UGW will also be collecting donations to fund capacity-building for G Day as well as to support distributions, for example if there is a shortfall in numbers of kits in meeting the needs of a particular group.